watercolor pencil | ... And Show Your Work! 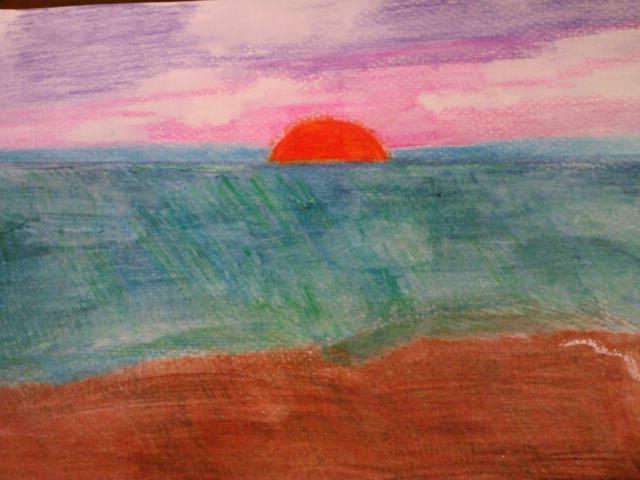 Another stab at working with water color pencils. I just don’t think I’m cut out for them, unfortunately. 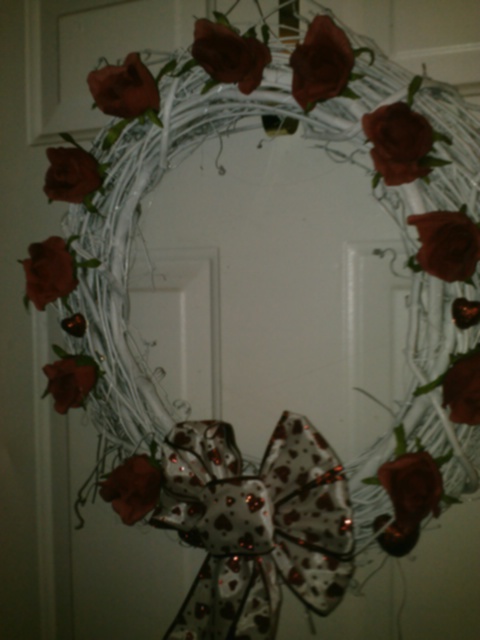 The first one is, of course, a Valentine’s wreath for my front door. I had to spray paint a grapevine wreath white to get the effect. Then it was just a matter of gluing some red roses on and tying on a pre-made bow. 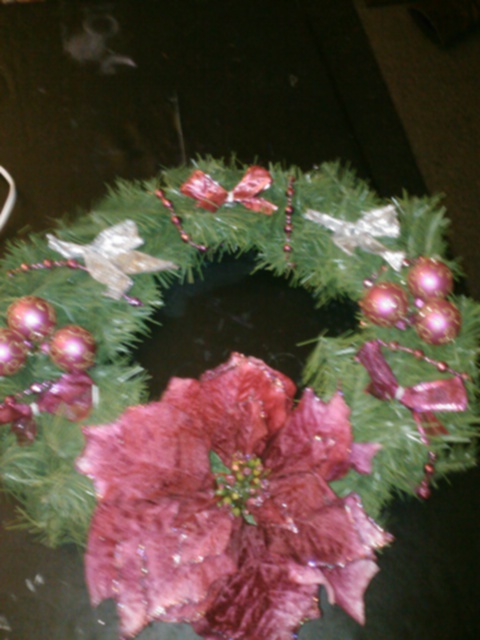 The second one is the Christmas wreath I was supposed to make to match our Christmas tree this year. Every year I pick a new theme for the tree and this year it was obviously PINK! I picked up the stuff to make the wreath but with all I had to do for Christmas presents, I ended up not doing it until now. I’ve always been creative, but in the last couple of months, I have churned out so many craft projects that I can’t figure out how I had the time to do anything else! But despite it being hectic, I enjoyed it. That was until I woke up on January first and realized that with all of the gifts finally dispersed, I did not have any of my beautiful creations. I did not even have pictures of most of them. So here I am, creating this sister blog to my cooking blog, where I will show off my work! I fully intend to provide directions for the craft projects but my first post is art, not crafts. Friday, I finally got the chance to open up the art supplies my girlfriend bought me for Christmas and start working with them. 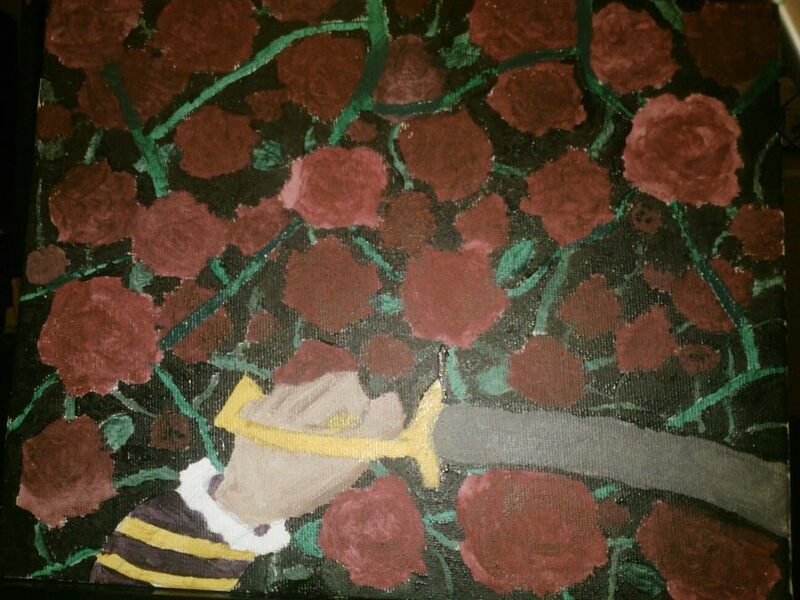 I produced two paintings. 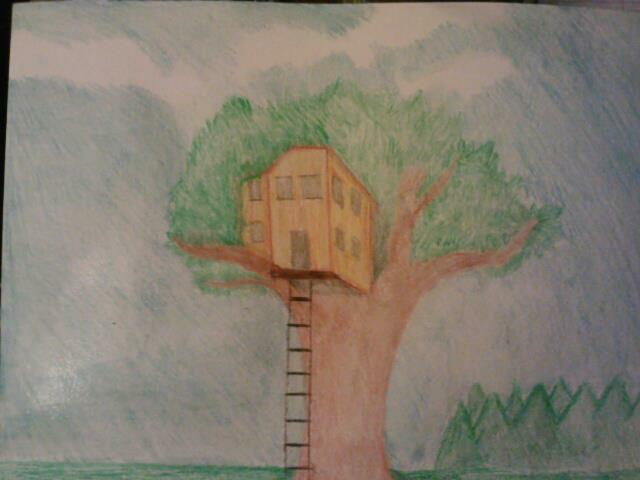 The first, was with watercolor pencils, and is currently unnamed. It has been years since I did any more art than the occasional sketch, but I have so far been enjoying getting back to it. I even went and bought more supplies today. No idea what the next post will be yet. Or when it will be. We’ll see where my mood takes me.